Mighty Furzton is another big water (70 acres) with fish and stock levels to match. With carp now at the 33 lbs. mark, tench rapidly catching those at Willen and shoals of bream and roach. Nets of roach reaching 40lb plus have been had in evening matches while bream catches of over 60lb are possible especially early in the season. Catch and release carpers have caught over 200lb in marathon sessions. 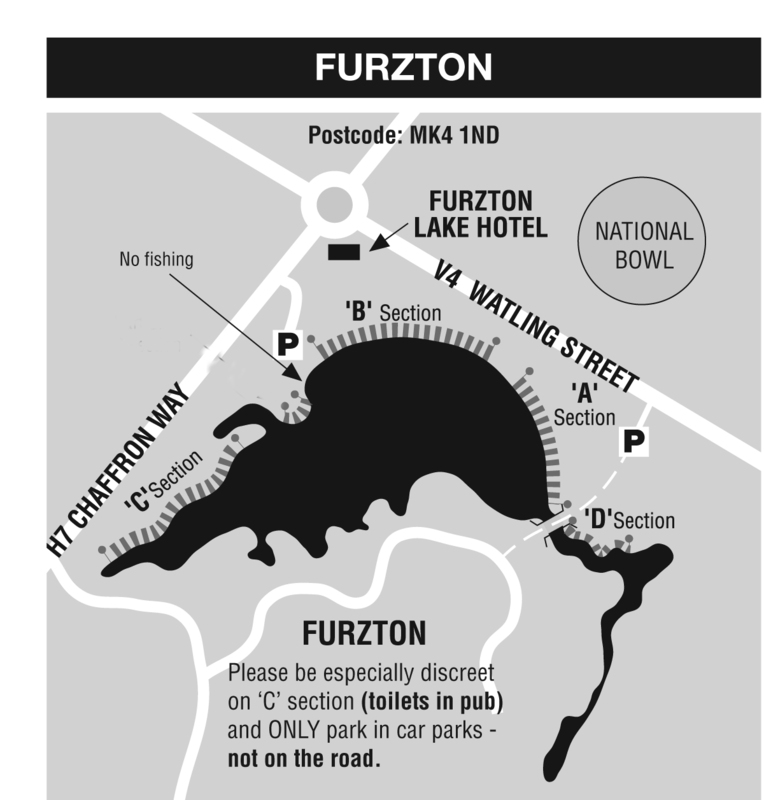 Furzton is now open all year. The same rules apply to ALL users of C section be they match, specialist or leisure anglers. Use of floats (including fixed, sliding, self-loaded or marker) where float and loading together do NOT exceed 50 grms in weight.